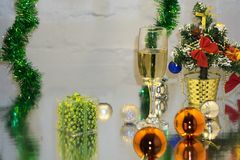 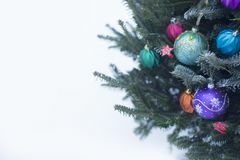 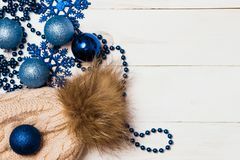 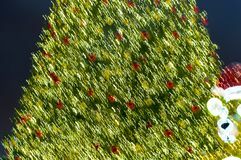 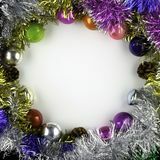 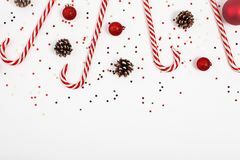 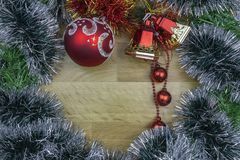 Background made of christmas balls and tinsel. 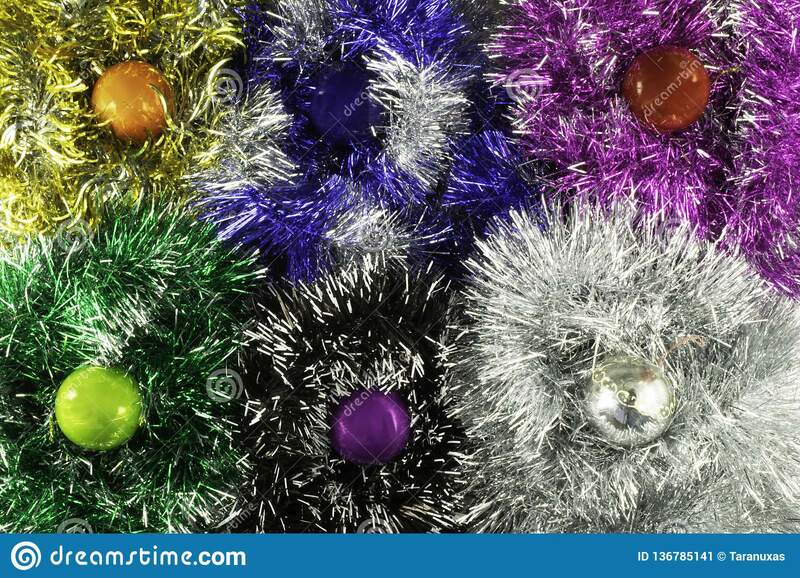 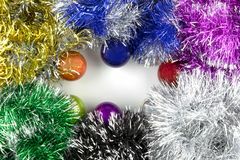 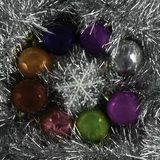 Christmas balls on multi-colored tinsel. 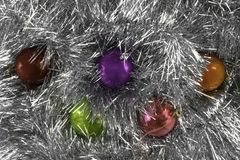 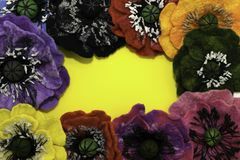 Handmade Christmas balls close-up.